This contest started on 6/8/18. This contest has a winner. * Win A $10 BurgerFi Gift Card. Jeff Eats got a $10 BurgerFi Gift Card to give to one of you guys! 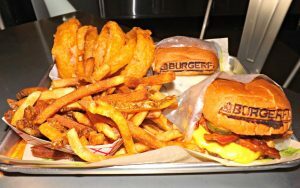 The $10 Gift Card is good at any BurgerFi location (burgerfi.com for locations, menu, info). Need to try this place. As a relatively new reader I can’t believe that I hit this one so soon. I really love the blog. Thank you again.